The energy is amping in intensity in the planetary collective, as polarized forces are battling for control. We see examples of this battle playing out in the US election and UK’s Brexit vote. The opposing parties and their followers are rigidly entrenched in righteous indignation. Neither side has humanity’s best interest in mind. As the battle escalates, the New Earthers are receiving divine intervention in galactic support. According to Times of India, “Scientists at the world’s largest and most sensitive cosmic ray monitor, located in India, have recorded a burst of galactic cosmic rays that indicates a crack in the Earth’s magnetic shield. The 11:11 Stargate has opened a portal in earth’s astral plane, streaming powerful gamma photonic rays into the collective field. During rare Ascension Gateways the dimensional veil is the thinnest and spiritual rituals become more effective. In the coming week, take advantage of the 11:11 Gateway to enhance your visions, intentions, invocations and manifestations while the veils come down. As a conscious Light Being, you have the ability to affect how the future unfolds. You are providing the feedback influencing your projected manifestations. Some of these possible futures have more magnetism than others. It does require continued focus on your end result, otherwise if left to chance, lower energies can throw a wrench in your plans. This is not the time to wait on the sidelines for the world to improve. All Light Bearers are being called to get involved and actively create the New Earth. You are the Guardians of the New Earth! Those who are attracted to the planetary Ascension have memory of this process within their Soul’s Akashics. It is familiar and something you are drawn to do. Nothing else will satisfy you. Living in such dense, divisive and limiting consciousness is repellant. You are being compelled to ascend out of the polarized Time Matrix of Duality. It does not feel like home. The extreme polarized opposition feels so uncomfortable. Your heart is yearning for the harmonious 5D New Earth and higher to be able to live a fulfilling life. Those without any past experience of the Ascension are not aware of it, and won’t be drawn to it. There is no memory present in their Akashic records of the Ascension experience. They have no reference point to the process. This is why you see so many people unaware and distracted with living in Duality. They have no inner calling to pursue it. The LightBearers are present on Earth to demonstrate the Ascension Process to humanity and awaken the ancient knowledge into the collective Mind. The 5D field pulses at 25 hertz and higher, beyond the reach of Ego mentality. Any polarized density or Ego resistance will drop your frequency below the 5D range. Keep your eye on the goal! Dump the density, release the polarized charge, let go of all emotional dependencies! It’s like peeling the onion, drop the outer layers clinging to the past. Move into living in the NOW – free from the limits of Time, all past karma and traumatized timelines. During the lovely, sweet 11:11 Gateway, we will connect to our Starseed ancestry and our Soul’s timeless Akashic memory of Ascension to guide us home. We will join together in a Group Mind to connect with our Rainbow Family assisting and preparing our energy field and Ascension path to bring us home. Light flows through your being with great force and abundance, this is always the case whether you are aware of it or not. When you awaken your senses to become aware of the positive and continuous flow of the Creator’s light pulsating through your being you become consciously involved in all shifts occurring within your being instigated by the light of the Creator. Your willingness to be conscious allows you to remember aspects of your Universal Mind, thus realising insights, knowledge and wisdom which serves and guides you in your lifetime. When you allow yourself to connect into the Universal Mind, you are encouraging your natural essence to become prominent within your physical body and being such as expansion, freedom, inner knowingness, light, love and truth. The more you allow yourself to be conscious of the shifts occurring within your being and your eternal connection w ith the Universal Mind, the easier it will be to remember who you truly are. Remembrance is after all what every soul seeks, whether on the Earth or the inner planes. A lack of memory of the divine/ Creator, in truth who you really are occurs when disconnection with the Universal Mind occurs. There is a need to be in 90 % connection and conscious connection with the Universal Mind in order to be able to access the truth of your being. This is because the knowledge, wisdom and remembrance of your soul concerning your current and other lifetimes on the Earth and the inner planes extend from the Universal Mind. Your soul and soul group are in constant communication and transference of energy and wisdom with the Universal Mind. Everything that is your soul and soul group, even your current lifetime is stored within the Universal Mind. The Universal Mind is a vast expanse of knowledge, wisdom, and information concerning every soul upon the Earth and the inner planes. It is likened to the mind of the Creator. When you receive divine wisdom or enlightenme nt, this flows from the Universal Mind through your soul group and soul into your consciousness, energy field, mind, and understanding. Your soul does hold information and wisdom; however, it is predominantly drawing the wisdom from the Universal Mind. Every soul is connected to the Universal Mind, and every experience, perspective, and understanding of every soul is present within the Universal Mind. This means that when you are conscious of your connection to the Universal Mind, you are aware that every thought of every soul is available for you to draw upon and accept. When a thought or energy consciousness exists within the Universal Mind it is neither positive or negative; it exists as neutral. It is only when the thought or energy is absorbed by a soul that they interpret or react to it thus determining it as negative or positive. We are using the label of the Universal Mind; this is because it is the expansive consciousness of the Creator of all within the universe of the Creator. We are not referring to the Universal level. We could also use the labels Cosmic Mind, Creator Mind or Mind of Infinity; all would refer to the same source. A label after all is merely a focus of intention. One way to enhance your connection with the Universal Mind is to allow yourself to take time in your day to be conscious. It is a very simple practice and something that many spiritual teachers have encouraged throughout the ages, and yet it is an immensely powerful process and experience. It could even be called transformational because it clears away illusion and allows you to practice seeing, sensing, acknowledging and remembering the truth within you and around you. We invite you to practice three forms of being conscious. The first is to be conscious of your inner self meaning your thoughts, feelings, insights, how your body feels and the presence of your soul/ light/ love. These can be observed simultaneously or individually. You may also allow the most appropriate aspect of your inner self to be drawn to your attention for observation or to be conscious of. The second is to be conscious of your outer world meaning everything that is occurring around you in your current reality. Your outer world can also be observing others or situations occurring in the world. The third is to combine your inner self and outer world, seeing beyond separation and being conscious with both inner and outer reality simultaneously. Encourage yourself to observe, as if you are trying to take in or absorb all the information within you, outside of you and then both simultaneously. Once the above has been mastered, allow yourself to observe your reactions to your outside, inside or both simultaneously. For example, you may discover you are being judgmental or become upset, are deeply loving or fearful. Observe or register the reaction and whether you perceive it as negative or positive, send love from your heart and soul to the reaction. This will reprogram some of your reactions as well as amplifying reactions which empower you. Once you have experienced the above, connect into your soul and heart reminding yourself that you are the Creator in manifestation on the Earth. Then allow yourself to observe, to watch, feel, acknowledge your inner, outer and both realities. Being conscious actually allows you to see, sense and acknowledge through the veils of illusion into infinity. It may seem an unimportant task which is not linked to the Universal Mind, however when you allow yourself to become harmonised with yourself, surroundings and all that is the Creator the Universal Mind appears to be present to you in a way that it was not before. During meditation you can ask your guides, soul or us, the Celestial White Beings, to consciously connect you to the Universal Mind. This is a wonderful process if you have a question you wish to receive an answer for, wish to acquire a skill or ability, wish to access enlightenment or simply experience the Universal Mind in its expansion and perfection. You are always connected to the Universal Mind; it is your conscious awareness of this continuous conversation which requires to be remembered and developed. It started with the voices – that is the higher voices. But we heard them not above, but within. At first that was quite disorienting, as we were used to perceiving only outer communications, but very soon the inner location of the voices became normal. That is, it became normal for those of us who could hear the voices. At first there were just a few of us who could hear the voices, and we thought we were alone in this experience. But, gradually, as we gained the courage to share our experience with others, we found out that we were not alone. Also, somehow, we knew with whom we could share our experience. However, as we found the courage to share our experience with certain people, we discovered that we were all experiencing these voices in the same way. We also learned that there were some people with whom we could NOT share our experience. As one might guess, we could “feel” with whom we could share our “feelings.” We also discovered that we did not need to use our voices, or be in close physical proximity, to send or receive this feeling to or from others. At first, we could only experience this unique feeling with our physical body, which would have a certain “knowing” that that person, whether close to us or far away, was communing with us. We began to use the word “commune” rather “communication” because we “felt” each other as if we were ONE person. I know that this sensation will be very difficult to understand for people who have not experienced it, but I will try my best to explain it. At first, we had conscious experiences of a higher voice, but it was not above us. As I said before, this higher voice was within us. Having someone communicate with us, especially an invisible someone, from inside of us was disconcerting at first. However, we came to realize that this inner voice was very comforting and even helpful in our daily life. It was as if someone with a higher perspective was showing us the possible and probable realties that we were entering. I know that I lost you there, so I will explain the above statement more clearly. It was as if we all perceived an invisible, which means we only saw it with our imagination, fork in the road of our life. One of our “choices of reality,” symbolized by the fork in the road, would absolutely occur if we did not alter ourselves in some fashion. That was the “probable reality.” The other choice, the “possible reality,” was an alternate path that we could experience if we chose. At first it was disconcerting to have these myriad choices constantly entering our awareness, but as we grew accustomed to these inner directions we found that our lives began to flow. OK, now what do we mean by our life flowing? The best way to explain a “flowing life” is that we found that when we just LET GO of all the myriad choices of daily life and allowed this inner directive to guide us, we were much happier and could actually do more. In other words, instead of having to make myriad choices about our daily life, we only had two choices: follow this inner flow or experience the resistance of daily life. In fact, when we chose to “follow the flow,” we did NOT experience the resistance that was normal before we followed the flow. It was as if we finally realized that there was an alternative to climbing that steep trail of daily life—alone. Until we chose to follow the flow we did not realize that there was an alternative to our “steep trail.” And, most important, before we chose to follow this collective inner directive, we did not know how very alone we had been. We could remember how it was to feel so alone inside ourselves and even with a good friend or in a crowd of other people. In fact, “other” is a word that began to leave our awareness. As we followed this inner, collective reality, the concept of “other” became extinct. I can feel that I should also explain the concept of an “inner, collective realty.” Before we began to follow this “inner feel,” we were alone within ourselves. Yes, we could share our lives through communication, which was usually about our work, our kids, or some other 3D activity, but it was separate people talking about separate lives. The interesting thing that we discovered when we merged into the flow was that, even though we were still “individuals,” we were not separate. We were so united within the flow at the most inner levels of our consciousness, that the external package of our bodies were merely the seemingly separate encasement for our ONE Being. At first this situation was a bit disconcerting for us because we had all had myriad lives on third dimensional Earth. However, eventually we began to meet beings who had only had a few incarnations on Earth or had only bi-located onto third dimensional Earth while they kept their primary essence and consciousness on their Starship. As we, the ones who had primarily identified ourselves as being humans from physical Earth, merged with the ones who knew they had only bi-located to Earth, we all began to remember our higher dimensional life. We were not surprised to discover that many of us knew the bi-located ones from being on the same Ship. As we all communed, we realized that some of us would return to our Ship, others would move into the energy patterns of fifth dimensional Earth, and others would expand their essence enough to be both on the Ship and on New Earth. New Earth is the name that we started to use for the fifth dimensional frequency of Earth. At first, most of us could not remember much about our higher dimensional life, but we could perceive and communicate with each other quite naturally. Sometimes one, or a few, of us would “phase out” of our collective perception for a while, but they would usually return. When they returned they had great stories to share with us. Sometimes they would disappear because they had returned to physical or astral Earth to assist in some manner. It appeared to us that they had only been gone for a short while, but when they returned, they told us how they had been on physical Earth for a long lifetime, or on Astral Earth for a lesser time. Then there were some who had traveled to their Ship or to one of the frequency levels of New Earth. These “return stories,” as we called them, were very interesting. They told us how we could visit many different frequencies of New Earth and discover that each frequency was quite different. There was what they called, “Perceptual New Earth,” in which we could perceive it like a movie, but it was actually an “in-between frequency.” This frequency of New Earth was more like an idea than a place. However, if a group could combine their consciousness enough to embrace that “idea,” they would find themselves interacting as a group on a reality that was highly adaptive to their thoughts and emotions. Also, in order to remain in this “Adaptive New Earth” they would have to join into the group consensus that this version of New Earth was indeed real. Hence, even though that reality seemed to waver and change with every thought and emotion, it was a “real” reality. This Adaptive New Earth is where the group needed to remain in total consciousness calibration with each other or they would “fall out” of the experience. When they “fell out” they returned to Perceptual New Earth. They told us that they could observe Perceptual New Earth, but they could not enter into that perception. In other words, they could perceive it, but they could not live it. We say “perceive” rather than see, hear or feel it, as that frequency of Earth did not look, sound or seem at all like physical Earth. Perceptual Earth was more like the Astral Plane of the fourth dimension in that it looked like a dream or something they were making up. However, they were all “making up” the same reality and having the same dream/reality. It was because of the adventures of some of our friends, that we realized we were moving into New Earth. We instinctively knew that we were experiencing New Earth as groups because the power of Unity Consciousness assisted us to better understand and accept our very unique experience. Our collective experience of releasing that which we had always known as “real” and embracing an entirely different experience of reality was greatly facilitated by the intimate relationship of our group. When trusted friends, family and loved ones that had known us when we were “just” physical were having the exact same experiences, it was much easier for us to “believe” that what we were experiencing was REAL. I understand that the above statement can be quite confusing, so I suggest you think of our experience as if you were dreaming and found dear friends and family from your waking life sharing the same dream with you. In the same manner as a dream, at first, you will likely “wake up” to your 3D self. What we mean by that is that at first you will “fall out” of that frequency of consciousness. However, just as sleep is important and alpha wave dreams guide you, your initial short-term visits to New Earth are important and will definitely guide you. Again, we must add that this guidance will not be above, behind, or in front of you as via any 3D guidance. This guidance will be within you. Perceiving reality as an inner feeling, perception, idea, emotion and/or thought will likely be that most challenging part of your experience. It definitely was for us. However, we were “the first ones in.” Because we could not share our experience with anyone from our 3D, outer reality, we instantly bonded very deeply with each other. Of course, everything in New Earth is instant, and we were automatically very close because we instantly perceived ourselves as ONE. I guess it was because we had already bonded so deeply before we actually moved beyond Perceptual New Earth and Adaptive New Earth and into what we called “Threshold New Earth.” Before we actually entered Threshold New Earth we came to an invisible energy field. It was in these Mystery Schools that our group became larger and larger. We started out as a relatively small group of men and women who had not had any kind of esoteric teachings. We were just regular people who had no idea or even forewarning of what we were about to experience. Now you might think that that would make us frightened, but the constant feeling of Unconditional Love for ALL life was so welcoming and totally safe. Therefore, we just “let go” into this unknown experience thinking that we were having some kind of group illusion. It was not until we came to Threshold New Earth that we realized that we had actually left all illusion behind us. I will try to explain the sensation of TRUTH, but I am not sure I can put that experience into words. Yes, truth is actually an experience. We had left a reality so filled with lies and illusions that that energy field was normal. Yes, the concept of energy field was also something we learned about in Threshold New Earth. However, I think I am getting ahead of myself. I apologize, but since I came to Threshold New Earth, my concepts of time and sequence are disappearing from my mind. It is for this reason that I must document our journey here on Threshold New Earth, as I know I will likely lose all connection to third dimensional thinking once I cross that Threshold. Please, allow me to go back in sequence to our first sensations of our experiences of the progressive versions of New Earth. I say “progressive” because each of the before mentioned versions of New Earth prepared us to journey on into the next octave of New Earth. OK, I think I should start with explaining the concept of “octaves of New Earth.” When we perceived these different octaves, we had an inner knowing to move past them and continue our journey. However, my Higher Self, who greeted me on Threshold New Earth, told me that I am to be a reporter or a scribe. What that means is that it is my Mission to report our journey to those who are still bound to their experience of physical Earth. Now, before I go backwards to explain each of the versions of New Earth that our group moved beyond, I want you to know that I was just a “regular person” on 3D Earth. I still have no idea how I was chosen to partake in this marvelous event, but I do live in constant thanksgiving for this great privilege. Therefore, before I go back to the beginning I want to share the main thing that I learned which is the power of gratitude. I will go into this concept more deeply later, but I want to say now that it was because our groups were able to be thankful for our experience that we could continue all the way to New Earth. You see, Gaia is a free will planet. I had no idea what that meant. However, my Higher Self tells me that we took a body on 3D Earth to learn how to be the Master of our free will. I still do not understand how I mastered my free will, but perhaps it occurred when I chose to listen to and follow the directives of my inner voice. I must admit that the most challenging directive was to “feel” the inner voice. The second greatest challenge was to find the courage to share my experience with others. 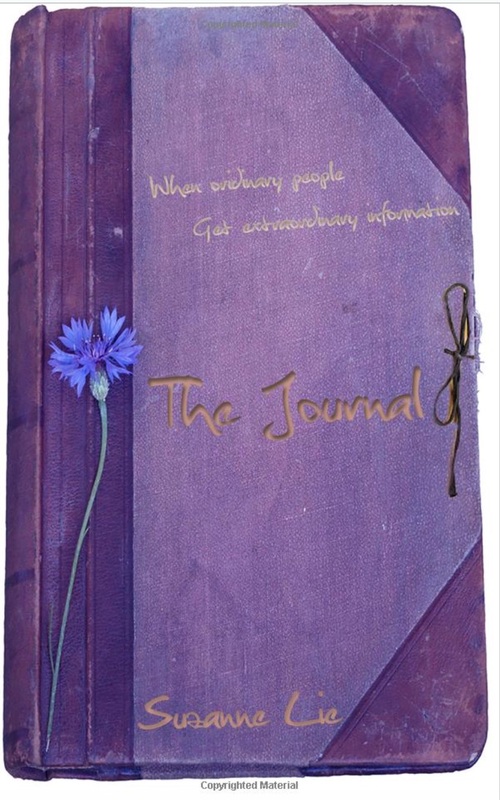 I wrote my latest book, The Journal, because the Arcturians told me to put together, in chronological order, all the messages I had received since the early 1990’s, and string them together with a storyline. 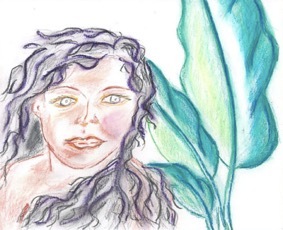 This storyline was channeled by the merging of me, the human, and me the Arcturian. I invite you all to share this journey with me. I hope that the Journey assists you as much as it did me. Greetings, I am Sharman, here again to speak with you. I am happy to announce that for this transmission I, Sharman, am combining my Pleiadian energy field with my Arcturian energy field. In the same manner that many of you on Earth have a heritage from different countries, most of us on the Ship have a heritage from different Galaxies. We realize it has been quite a while in your Earth “time” since we have spoken with you. However, in our dimension, time, and space are no longer a component of our “operating system.” Within our fifth dimensional and beyond reality we live within the NOW of the ONE. We realize that that concept is difficult for our earth-bound ones to understand, so we were asked to speak with you again to attempt to explain our fifth dimensional operating system in a third dimensional manner. Just as time and space are the basis of Earth’s third dimensional operating system, and to a lesser degree of Earth’s fourth dimensional operating system, the HERE of the NOW is the basis of our fifth dimensional operating system. However, all of our Ships are calibrated to also function within your fourth dimensional operating system to accommodate our frequent guest from third/fourth dimensional Earth. When humans are able to expand their consciousness into the fourth dimension, they can perceive our reality on our ships while still maintaining their earth vessels, which are usually sleeping. We use the word “reality” rather than “lives,” as we have many “lives” that are simultaneously running within our multidimensional consciousness. In fact, we are “here within your NOW” to remind our friends on Earth that you also have many lives. Those of us who observe your third/fourth dimensional reality from our perspective of the fifth dimension are happy to see how our volunteers to physical Earth have learned to adapt to such a difficult format of reality. Were are here within your NOW, to remind you that there are many different “formats of reality” that we have observed, as well as volunteered to temporarily experience. We have had these experiences because when we have taken an earth vessel on one of your countless realities. You may be surprised to know that many different realities are actually running simultaneously on your dear Gaia, Earth. What most humans do not know is that Earth, known to us as Gaia, is a living being who thinks and feels in the same manner as humans. However, humans usually know Her thoughts and feelings as “the weather.” There are different weather systems that are innate to the different areas of Gaia’s planet. It is when there is a major shift in that weather that Gaia is speaking. Even though many humans are totally unaware of the life force of the planet, they are very aware of the weather. There are, of course, different weather systems that are innate to different areas of the planet. Therefore, it is when there is a sudden, or gradual, change within that “normal weather” that Gaia is speaking. Humans adapt to the weather of their area much more than they realize. Hence, when there is a shift in the “normal weather” people take a moment of their busy life to notice their environment on Earth. We say, “environment on Earth,” to differentiate the many inner mental and emotional environments that are constantly influencing them. It is primarily this “inner mental and emotional environment” within the consciousness of each human through which Gaia can be heard. Unfortunately, the vast majority of humanity is unaware of their own “inner environment.” This lack of awareness is largely because of the “unconscious messages” that are constantly being fed to humanity by the forces of darkness. These “secret leaders” of your reality are masters at mental and emotional manipulation. We tell you this, not to frighten you, but to remind you to focus on the “mastery of your mind” and the “conscious awareness of your emotions.” There is a great deal of “brainwashing,” as it is called in your world, that is sent via a carrier waves that are unconscious to your daily awareness. However, if you attend to your emotions and your physical body, you will be able to consciously perceive these messages. Modern humanity, especially in the “developed societies,” has been taught to unconsciously attend to the many messages sent to them via television, especially the commercials on the television, movies, newspaper, and the Internet. “How can someone be unconsciously taught?” we hear you ask. Our response is that humans have been taught to ignore their inner directives and to attend to their outer directives. It is for this reason that many humans can no longer communicate with Gaia. It is for this reason that many humans send their Unconditional Love and Violet Fire into the Lower Astral Plane. We thank all of you who do so, as you have made a huge contribution to Gaia’s ascension. Just as humanity can clear their own fears by loving themselves unconditionally, as well as encircling themselves with Violet Fire, Gaia greatly benefits from the Unconditional Love and Violet Fire of transmutations that is sent into Her planetary body. Please remember that those who chose to take forms on any given planet, do so because they feel an innate attachment to the energy patterns of that planet. Many of you who have chosen an incarnations on Earth, have also incarnated on Venus. In fact, many of those who live in service to Gaia have had many incarnations on Venus. Venus is where they learned/remembered their true Multidimensional SELF, as well as the reason for their upcoming incarnation on Gaia’s Earth. Gaia and Venus are sister planets and often work as ONE for the healing and advancement their shared Solar System. One of the important concepts that you learn via your nightly, or meditative, visits to Venus is Unconditional Love. Venus has released Her need for polarity and is assisting her dear sister Gaia to do the same. The separation of polarities of “good” and “bad” has caused Gaia great difficulties due to myriad wars that have damaged Her body and deleted her resources. The energy fields of Venus teach humanity to love art, beauty, deep human friendship, and inter-dimensional communication. Inter-dimensional communication is the basis of planetary ascension. As more and more of humanity remembers that they can visit Venus and/or our Starships during sleep or deep meditation, they will no longer feel threatened by the constant propaganda being sent out by the dark ones. These dark ones have taken over many of your third dimensional communication systems. Therefore, we ask you to carefully choose what you watch in your leisure time. If what you are watching, or listening to, expands your consciousness, then take the time to relax and enjoy yourself. However, if that media frightened you, it will lower your consciousness and open you to fear. We fifth dimensional ones can clearly see the “fear markers” that are embedded in horror movies, commercials as well as other parts of television, radio and/or the Web. If you feel fear, do NOT expose yourself to that media. However, if you can send that message your Unconditional Love and Violet Fire before you terminate that “entertainment,” you would be greatly assisting the collective consciousness of Earth. Your Unconditional Love and Violet Fire can also seek out the “fear markers” and transmute them back to empty energy packages that can only absorb messages of higher dimensional intention. We, your inter-dimensional family, wish to thank those who have joined our Clean Up Crew, again and again for the great assistance that you have given to Gaia to clear Her Earth, Air, Fire, Water and Ethers. The service that you are giving to Gaia, you are also giving to the many generations who will be living on an increasingly, over populated planet. Fortunately, more and more of you will be wearing your Lightbodies, which will greatly assist Gaia with Her planetary recovery. You see, your fifth dimensional lightbody, interacting with Gaia’s third/fourth dimensional Earth, will greatly assist in planetary ascension. Also, those of you who choose to remain on fifth dimensional Earth after your ascension into Lightbody, will greatly assist to accelerate Gaia’s transmutation from a third/fourth dimensional planet into a fifth dimensional planet. Within the NOW of Gaia’s transmutation into “Fifth Dimensional Light Planet,” Gaia will be experiencing much of what you will be experienced as you transmute into your Fifth Dimensional Light Body. Do you now better understand why you chose to take an earth vessel in this important NOW of planetary and solar transmutation? From our experiences of taking vessels on third dimensional Earth, we Galactics realize how difficult it can be on a planet that is in constant flux from fear to love, then from love to fear. This cycle also has negative consequences on Gaia’s planetary being. The problem is that most of humanity has no idea how much their emotions influence their environment. If they did, then they would try to acknowledge their fearful emotions and re-center themselves back into their loving emotions. We are sure that those of you who have dogs, cats, or birds in your home realize how much your “pet” is affected by your emotions. We wish to remind you that trees, flowers, insects, grass, water, and the sky are also influenced by the emotions that you unknowingly send out into your world. Your difficult challenge is to remain conscious of the energy fields that you are creating and sending out into your environment. Many of your spiritual leaders have been aware of this fact and have meditated for many decades to learn mastery over their thoughts and emotions. We want you all to know that we, your Galactic Family, can observe the energy fields of Earth via the advanced technology of our Starships. We also want you to know that we can also detect the great, transmutational power of the Violet Fire and Unconditional Love that you send into your reality. In closing, we wish to remind you that you have the ability to remember the other, past, present and future incarnations in which you have gained a greater mastery of your thoughts and emotions. Yes, because we Galactics resonate to the fifth dimensional NOW, we can simultaneously observe your past, present and future realties. We can also perceive your possible and probable realities. All these realities are swirling and moving in a huge, cosmic ocean. As you more consciously return to your innate fifth dimensionality, you too will regain these perceptions. When you regain your conscious ability to perceive energy fields before they become realities, which many of you WILL DO, you will be able to transmute all “power over others” actions BEFORE they can manifest. Did you realize the YOU have this ability? We can see that many have not yet remembered that innate skill. However, we can also perceive that many of you are VERY close to remembering that innate skill that was “brainwashed” out of you. Please remember, that the multidimensional abilities that are innate to you, are impossible for the dark ones to ever attain. It is for this reason that they wish to brainwash you and place fear markers through your media. Therefore, we remind you that YOU are more powerful then those who are lost to the darkness. In fact, you are even more powerful then them before you flash into Lightbody. Can you imagine how amazingly powerful YOU, our fifth dimensional ones who have taken a third dimensional earth vessel, are? The multidimensional power that you hold is locked within your Lightbody. Therefore, one can only access that power while their consciousness resonates to the fifth dimension and beyond. In this manner, the dark ones cannot force a human to use their power in a negative manner. You can only access this immense power by activating your fifth dimensional Lightbody. Then, once you are transmuted into your Lightbody, you are invincible to all third/fourth dimensional negativity and/or weaponry. Then, just as each human Lightbody will burst forth from the core of physical body, Gaia’s Lightbody planet will burst forth from the core of Her planetary body! We hear you ask, “When will this occur?” Our answer is that this event can only occur within the NOW of the fifth dimensional consciousness, and thus resonance, of the ONE. “What does that mean?” we hear you ask. “Go into your fifth dimensional consciousness to find that answer for your self.” we reply. If you have more questions, please ask us when you visit our Ship. Greetings, love and consciousness we, the Andromedans extend to you in support of your ascension and the valuable period of evolution you are moving through at this time. We have spoken in our previous communication with you about the chaos which is developing or which you may becoming aware of within your being and reality. We shared that the chaos has a purpose of awakening a light explosion within your being creating a powerful healing and awakening of divine consciousness for you to explore in your current reality. 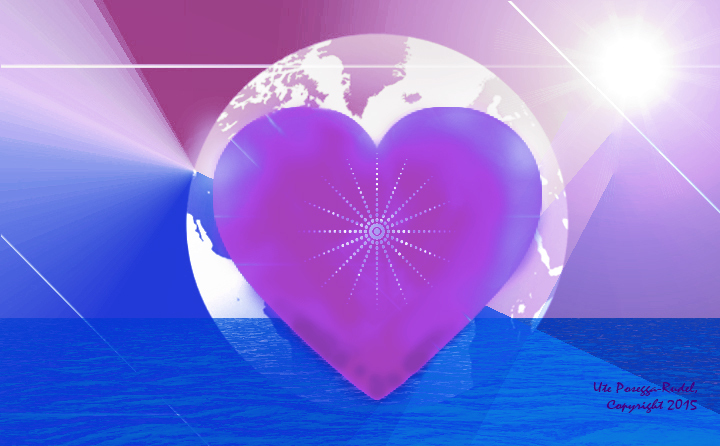 The Arcturians shared in their communication with you that we, the Andromedans, are selecting evolved souls who are awake and aware at this time to anchor supreme love through their beings into the Earth to influence and support all of humanity to shift into a vibration of love. With the information of our previous communications in mind we wish to share additional info rmation to support you at this major period of your growth. In order for the light of your soul and the Creator to explode from within your being into a beacon of light there is a need to be aware of the lesson your soul has come to the Earth to achieve and overcome. This lesson, challenge or hurdle has the purpose of creating unison between your soul and every reality of your being, for example, your body, auric field, reality, mind and emotions. Often this lesson, challenge or hurdle feels like a limitation, something you are being denied. Even though you may have placed effort and focus upon healing or transforming this area, it may still feel out of your reach. It may also be the cause or be manifesting as chaos in your current reality. Any form of chaos is required to be approached from a space of love, even amusement and non-attachment if possible. There is no need to activate drama or negative feelings within in response to small experiences of chaos manifesting within your reality. Allow yourself to enjoy being observant with the knowingness that the chaos is proof that you are moving forth to experience light exploding from within your being. For greater experiences of chaos, you are not required to act or react in a certain way, simply to hold love, forgiveness, faith and trust, for yourself especially. Your physical body is your greatest companion for your soul as is your reality, however your physical body is in tune, sensitive to and aware of your soul, with the ability to embody your soul. This is the greatest purpose at this time. Many of you may know and experience your soul regularly however the chaos is forming in order to enhance the bond between your physical body and your soul. If you are aware of the single challenge or hurdle in your life which you so wish to experience, then you may realise that to aid its manifestation there is a need to either feel the presence of your soul allowing the soul to connect with your physical body. Maybe you have already achieved this so there may be a need to allow the soul and physical body to work in harmony to aid manifestations in your physical reality. Therefore, there is a need to contemplate whether you are being invited to enhance your awareness of your soul in your physical body or in projections into your physical reality. If you are experiencing physical pain, then it is most likely there is a need to focus upon the embodiment of your soul into your physical body. You may or may not already feel the presence of your soul within your heart and emotions however there is a need to feel your soul tingling or vibrating within your physical body, allowing the soul to make necessary shifts and adjustments, through which greater embodiment will be experienced. If you are experiencing difficulties in your physical reality or your challenge is the manifestation of a situation in your everyday life, then you can recognise there is a need to express the soul working in harmony with the body to more fully anchor these sacred vibrations into your physical reality. This latter request symbolises that you have already integrated your soul with your physical body however the energies are not yet merging with your outer reality. The greatest restriction to your soul’s expansion and embodiment is fear. While the soul can overcome and dissolve fear with ease. If fear has been ingrained and has created repeated energetic patterns which exists almost like programming within the body, then this is more challenging for the soul to dissolve because it requires a balanced focused between many aspects of your being. When fear has become a repeated pattern programmed within your physical body, mental body or emotional body then it can be released through repetition of spiritual practices to move through the layers of fear creating healing. Many people upon the Earth are becoming frustrated as they feel their desired experience or outcome is not manifesting. This frustration is a part of the healing process between your soul and your physical body, and your soul and your physical reality. Your soul is required to first manifest into the physical body and then into the physical reality through the physical body. Your frustration is like the storm of chaos rising from within you. In a storm you would find shelter and rest, during your inner storm of chaos you are invited to find shelter in the love of your heart chakra, and to rest there. This is all that is required to bring everything into balance as well as to become aware of the integrated balance of the soul, your physical body and physical reality. Do you believe us, the Andromedans, that resting in your heart chakra is all that you are invited to achieve in this mom ent to heal yourself and reality? Your levels of belief may be low at this time, you may have tried so many different practices and yet nothing seems to support or help you in overcoming your hurdle. It may be that more than ever this hurdle feels impossible to overcome. We understand this as a process of moving into the evolution and embodiment of love. Never give up, although allow yourself to consciously find new pathways or perspectives to support you. Secondly we wish for you to call us, the Andromedans, forth to rewire, repair and restore your physical body’s ability to receive the light, love, consciousness, healing and sacred vibrations of your soul with ease and perfection. Thirdly, we wish for you to call upon us to rewire, repair and restore the flow of your soul and your physical body’s projection of your soul into your physical reality. Fourthly, we invite you to call upon us, the Andromedans, to erase all fear, frustration, hopelessness, anger, lack, feeling unsupported and separated from the divine. With our light embracing you it will be as if the fear is drawn out of your being and dissolved in our light. 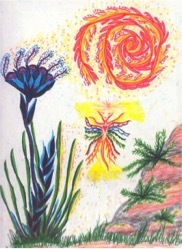 All of our practices will support you and guide you further into the experience of your light explosion within, however know that the simplest of practices are also relevant such as remaining in your heart space, focusing upon love emanating from your being, even if you feel you are emanating your love against a storm which is trying to unfold you. At this time your trust is being questioned because of all the energies anchoring into the Earth and evolving from within your being. You are being asked, ‘Do you trust in the power of the love within your being to heal or create anything you desire to experience?’ If you do trust, then the answer is easy. It is natural to not trust completely especially if you are not aware of any evidence of the power of the love of your soul and the Creator in your reality, however we are all moving into a period where everyone does trust in love and love fulfils all. We are present now to support your healing and to aid the next stage of your evolution which will begin with an explosion of light within you. The Formless Ones in both the planetary atmosphere and the planetary core, as well as the Portal Openers, knew that the time was nigh for the completion of the planetary cycle. The plants and animals did not need to understand what was happening, as they lived in unity with the planet and accepted whatever planetary event occurred. Only the Lost Ones were left uninformed that the transmutation of every molecule of form was imminent. However, the Lost Ones could FEEL that a great change was commencing. Since their separate God had told them that there was a beginning, there would need to be an ending. Hence, the only possible scenario they could believe was that the END was nigh. Since the Lost Ones were incapable of accepting an unknown event, they could only believe that the end of the world was near. Concurrently, the Portal Openers were in steady communication with the Formless Ones. Therefore, they realized that since the Formless Ones could create a planet, they could assist them to safely transmute their reality back into the Oneness of multidimensional light and unconditional love. Since the Portal Openers had expanded their consciousness enough to directly and personally experience the Formless Ones, they believed that ascension into a higher frequency was real. They could feel the transmutation of energy within the planetary core, as well as within their own personal core. Once they fully integrated this expansive energy into their being, they began to radiate their own multidimensional energy beyond their core and into their surrounding world. In other words, the Portal Openers became the very portals that they had once had to locate and request assistance to open. Meanwhile, the Formless Ones were busily creating their Arcturian Corridor. This corridor was much like a huge birth canal through which planets, solar systems, galaxies and universes could be protected and cared for during their intense transformation into higher frequencies of expression. However, only the Portal Openers would know they were within a huge cosmic portal. They would know this because they were those who had had enough trust in the Formless Ones to totally surrender into a state of consciousness completely unique to all of their past, present and future experiences of reality. Their surrender encompassed past, present and future because once they entered the corridor, they slowly lost all concept of time. Hence, memory would no longer be limited to the past, as there was only NOW. Furthermore, within the corridor, there was no illusion of inside vs. outside. Therefore, they could no longer distinguish between internal and external events. They could directly experience their beingness only within the constant state of the HERE and NOW. At first, this direct expression of being life was unique and therefore, challenging. However, as they became accustomed to this manner of “being,” they soon forgot any other expression of reality. While in this state of being, they could consciously experience their form transmuting without the necessity of “death.” In fact, they began to experience, and simultaneously forget, their myriad third/fourth dimensional lives in form. They retained all that they had learned, but once they began to return to that true SELF, they were in such joy that memories of their past challenges transmuted into the victories of the NOW. When they first entered the Arcturian Corridor, they had to release every person, place, situation and thing that had not chosen to enter the corridor. Some of these releases were quite difficult, as some physical relationships were made that would not carry forth into the corridor. The Portal Openers were sad to leave behind some of their friends who had become lost in the illusions that they believed were real. However, the Portal Openers knew that there was no time. Consequently, their friends and family would eventually join them. Without question, the fully awakened Portal Openers entered the corridor with absolute surrender and total release of all that could not, or would not, join them. They entered the corridor knowing that they had to trust the feel within their heart and discharge anything that cluttered their mind. But how did they enter the corridor? Was it visible and discrete, such as a physical bridge? No, that was the primary challenge of entering the corridor. It was not a Bridge, and it was not physical. In fact, it was not in front of or around them. The corridor was within them. But, how could they enter something that was within them? The Portal Openers had to collapse into their SELF. In other words, they had to deny all attachments to that which appeared to be around them and bond fully with that which they found within their High Heart. To their surprise, when they entered their High Heart, they discovered that all they had loved unconditionally in their myriad incarnations was awaiting their reunion. The Formless Ones had told them that unconditional love was the bonding force of the Universe. However, how could they know that unconditional love would bond all they loved within a higher frequency of reality that they could enter only by surrendering into their own High Heart? The Portal Openers did not know that they had collected within their own High Heart every reality that they had ever experienced in all of their excursions into form. Every person, place, situation or thing that they had loved unconditionally was awaiting them within the “NOW” of this great reunion. The Portal Openers collected ALL these past, present and future realities and merged them into the “NOW” of their ascension. In this manner, every experience of unconditional love that they had ever enjoyed was gathered into the corridor. Since the Portal Openers so dearly and unconditionally loved their planet, they gathered everything they loved about their planet into the corridor, as well. Unfortunately, this gathering of planetary experiences into the corridor would play havoc with the Lost Ones who were still planet-bound. The Lost Ones still held tight to the fear, victimization and/or power-over others. Thus, their quotient of love and light was quite small. They could not even find their High Heart, much less collapse into it. Furthermore, surrender felt like failure to them. They would not surrender their long-held beliefs, nor would they surrender that which they had worked so hard to acquire. 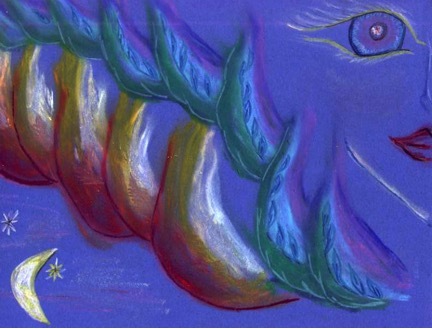 Unfortunately for the Lost Ones, the Arcturians who were the holders of planetary form were happy to join the Portal Openers and the Formless Ones in the corridor. Hence, portions of the matrix of the planet were disappearing from the perception of the Lost Ones. Those who had believed in a disastrous ending were playing out that storyline, while others continued with their selfish or weak behaviors. On the other hand, some of the Lost Ones were finding great courage and assisting others as they sought a safe place. How surprised they were when they discovered that the safe place was actually within the corridor. Unfortunately, other Lost Ones were holding on to their power-over others and/or their self-pity and lack of control over their own lives. These Lost Ones raged or called desperately to their separate God because they could not find their own Arcturian core. It was at this juncture where the holographic story had begun. To my surprise, at this point in the story an immense range of emotions overtook me, and I angrily turned off the hologram. Why? Why had I been shown this? Was I shown this story to remind me that, rather than selfishly advancing my own abilities, I should be home in the Pleiades on my own planet? I bolted from the holosuite in confusion and sorrow. What about my own people? What were they facing now? I was sworn to be a protector of my people, and I was off on my own selfish advancement when I should be home protecting and helping them. I was almost running when I bumped into the Arcturian. The mere touch of Its body and mind calmed my emotions and centered my thinking. The Arcturian looked deeply into my eyes, and we met soul to soul. I felt answers to many unasked question flow into my consciousness. My breath slowed, my heart calmed and my mind stilled. “We have a guest we want you to greet and take on a tour of the Mothership,” the Arcturian telepathically informed me. I started to speak, but it telepathically interrupted to say, “Speak only with your heart.” Thus, I had to fully center myself enough to ask the telepathic questions of where I should go and for who I should look. This is very unusual. She is always here as soon as I arrive. Or, perhaps, I’m not here yet? If I’m not here yet, then I have no idea how to travel in this land. It does not matter how far I walk because the world around me changes even if I stand still. This place doesn’t feel quite the same. I can’t explain it but there’s something different. It looks the same, but it doesn’t “feel” the same. I am beginning to become frightened. How did I get here and how can I leave? Where did I come from? I can hardly remember where I’m going. I must think of the Lady. She can read my thoughts and she said she would always answer when I call her with my heart. That should be easy as it is beating very hard now. Suddenly, I feel something like a wind and I see a flash of Light. Now everything still looks the same, but it feels different. It feels like the right place and before me is Lady Astrea smiling like a proud mother. “But what happened?” I ask. “What do you mean ‘solo flight’?” I ask very confused. “Before, I directed you here by the beam of my thoughts, but now you remembered where you wanted to go so you directed yourself. You are growing, my dear. It is very difficult at first, but the Lady is right as always. As soon as the connection is made, I see a picture but it is very unpleasant. I see a very old woman, small and frail, lying on a hospital bed with tubes connecting her to machines. I know that she is dying, as she is ‘not in her body’ but rather floating above it. I begin to cry and this makes the picture go away. “Who is it, my dear?” says Lady Astrea in a steady, comforting voice. “Two ceremonies were actually performed. One was performed while you were awake. Then you asked for it to be continued on another level while you were asleep. The waking ceremony you will remember as soon as you cross back to the other side. However, you must remember that normal dream language arises from your animal brain and not from your higher cortex. “In order to remember your highest sleep or astral experience you must be able to function from a high cortical level in bringing the information over to your conscious Earthly mind. To achieve this memory takes great practice and total control of your emotions because they will automatically lower the cognition down to the animal brain. Since you still harbor fear of the astral, and in this case fear of ‘death’, you were unable to bring forward your dream experiences to your Earthly life and your Earthly experiences to your dream life. “I will now recount your astral ceremony. Master Jesus and Mother Mary assisted in the ceremony due to your grandmother’s chosen faith in this life. You stood at the threshold with Lady Astrea and Archangel Michael, while I directed your grandmother’s vision towards Jesus and Mary. Your grandmother’s personal Angel brought her two ‘dead’ husbands from the other side to her along with other family members who have crossed over. Your grandmother then became aware that ‘death’ is not the end, but instead the beginning. However, she still holds to her daughter and is afraid to make a decision. Her life has been focused around learning to live for herself. She was born in an era when a woman’s goodness was measured by her ability to live for others. This she did. And now, as she did not live for herself, she must die for herself. Be patient with her and love her through the process. “All of her life she surrounded herself with strong people who would not give her time to do things and make decisions for herself as it was not their way to be so ‘slow.’ Accept your grandmother now in her manner of decision. She has gained the needed information and is constantly and almost consciously attended by her Angel. Love her and allow her to find her own way to learn her lessons and free herself into the light. “After the ceremony you came here to my temple for the removal of the Tenth Veil and asked that it be the ‘Veil of the illusion of Death. ‘The ‘Veil of Death’ is thin indeed. It wavers in the wind and is translucent in the sun. One can almost see the other side, can almost hear the calls of loved ones, and can almost know the meaning of life. But even though the step is short and the veil is thin, once across, the steps are final. Once across, the veil is denser, the time is ended and the space is over. Now the heart has found its Home and the yearning can subside. The journey is complete. Master Hilarion continues: “‘Death’ and birth are the same and differ only in semantics. When one dies to one side of the veil, they are born to the other. One reason why travel in the astral is so difficult is because it holds the fear of all those who did not know that fact and were afraid of that transition. However, as soon as they could find their guides, they were able to move into a higher vibration. They then left their fear behind. That fear was then absorbed by the primal masses of thought forms and these thought forms have become the ‘devils’ and ‘demons’ and other forces of darkness. These forces of darkness live off of fear and are repulsed by love. Apollo now adds: “‘Death’ is life and life is ‘death.’ Beyond the illusion of death the truth prevails that life and ‘death’ are two sides of one coin. The two sides of a coin differ only in the symbols that they each represent. Life and death are different sets of symbols that represent existence within a time/space, dense, physical structure and another set of symbols that represent the higher vibration of existence beyond the physical. The transition from physical to non-physical is experienced as ‘death’ whether or not the one can return. Therefore, it is vital for one to be free of the illusion of death and the incumbent fears of ‘death’ that often accompany physical existence. “One of man’s major evolutionary lessons is to learn that he is not the body but is only using the body as a focus of attention so that evolutionary lessons can be learned. When man was lower on the evolutionary scale, it was necessary for him to learn to own his body so that he could use it effectively. These ‘gods’ in the making looked around their schoolroom Earth to find a physical structure that seemed inhabitable for them. They found a type of ape that could raise to a standing position to better view the world and also had strong mating and tribal traditions. These beings appeared to be the most appropriate of physical structures available and the ‘gods’ knew they could quicken the evolution of the species by inhabiting it with their higher spiritual and mental capacity. “However, many chose not to take this risk of entering such a dense structure and chose instead to weave a finer body for themselves from the etheric substance about them. For many years and eons the separation between these two groups was strictly obeyed. Each felt that the other had chosen a different path. The end goal of each, however, was the same: to raise their vibration into perfect Spirit. With the downfall of Lemuria and Atlantis, the rules of separation were relaxed. Many of the finer beings mated with those with ‘ape-man’ bodies and their offspring further quickened the evolution of the animal-man. However, the animal-man qualities were stronger and generally overpowered those of the etheric beings. After the fall of Atlantis, many of the areas of Earth were too dense for the etheric beings and they had to retreat to certain areas where the vibration could be maintained at a higher rate. From departing Souls from this world. To get as much out of the emotions we can. Love is the only feeling that is at hand. Even in hatred there is our love that is involved. So we as Souls can evolve. And with a red sheet you cover up this love. You put into human words. The love behind hatred in this world. What is happening to us in this world. To be lived in this life. To stop feeling emotions I experiance in this world. I have experianced all the ones I was meant to over years. And except all in this world. Look out and see the world. A watcher you may say. That is being taught to Souls these days. We never die and we never will. Just as your third dimensional self enjoys traveling from one location to another, your Higher SELF enjoys traveling from one frequency to another. It is easy and enjoyable to travel from one physical place to another because you can enjoy your favorite locations that you have visited for many years. In the same manner, your inter-dimensional travels are fulfilling and a lot of fun because you are reuniting with your favorite higher dimensional places and beings. Your physical expression loves visiting your favorite, physical places, and your Multidimensional SELF appreciates visiting your many lives on different dimensions. However, what is occurring within this NOW is unique. Within this NOW, as your Multidimensional SELF travels through all the countless timelines, frequencies, and dimensions that YOU have created, you are asking all versions of your SELF to join you in your present incarnation. Hence, as you continue with your multidimensional journey, you will connect with all the version of your SELF in all the dimensions and sub-dimensions in which you have taken a form. Therefore, all the members of all your alternate and parallel realities have their bags packed and are ready to join you as soon as you consciously perceive them. The catch is that, just as you must “feel it to heal it,” you must “perceive it to collect it” into the sum/total of your Multidimensional SELF. Because your consciousness is expanding into the fifth dimension, you are on the cusp of consciously perceiving the inter-dimensional event in which you consciously return to your Multidimensional SELF. What a grand reunion you will have once your multidimensional consciousness is fully restored. As your daily consciousness expands into the fifth dimensional NOW, you will consciously perceive your journey through the Astral Plane. At first this journey will appear slow, but it picks up quickly as you enter the higher sub-planes of the fourth dimensional astral realities. Then, as you travel closer and closer to the threshold between the fourth and fifth dimension, time—actually the concept of time—begins to waver in and out of your consciousness. As your consciousness enters this crossroad, your physical body begins to shift in strange and unfamiliar ways. This “shift” is because your Kundalini will begin to awaken as a result of your higher states of consciousness. Your Kundalini is your innate Lightbody that has lain in waiting until the NOW of your fifth-dimensional frequency of consciousness. While consciously experiencing the gamma brainwaves of your fifth dimensional consciousness, that which once appeared solid begins to waver in and out. Actually, it is your fifth dimensional consciousness that is wavering in and out. “What is that?” you ask with a tinge of fear. However, just a tinge of fear is enough to send you packing back into the familiarity of your third dimensional world. “NO!” you cry, “Not again!” Why does this always happen just when I feel the Kundalini starting up my spine? 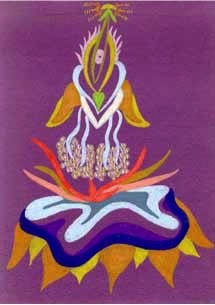 When you feel the Kundalini raising, you may feel as if you are not in control of your life. NOT “being in control of your life” actually means not being in control of your third dimensional life. Feeling at the helm of your physical life is empowering and often important. However, once the Kundalini begins it’s awaking, your perceptions begin to recalibrate to include the conscious perceptions of fifth dimensional, gamma wave information. Just a quick peak of your 3D reality from a fifth dimensional point of perception is enough to remind you that the 3D Game is ending! That “game” is ending because you have NOW reached the threshold to the reality of your fifth dimensional Lightbody.” This reality can be briefly visited by your multidimensional consciousness, but once the Kundalini rises, your third dimensional reality will never be the same again. The reason for this shift is that instead of being a third dimensional human visiting the fifth dimension, you will become a fifth dimensional (in and out of Lightbody) visiting the third dimension. With the awareness of your Lightbody SELF, you consciously become a fifth dimensional and beyond being who has volunteered to visit the third-dimension. In other words, your perceived roles are reversed. At first you were a physical person who has an inner (often hidden) Lightbody SELF. With the rising of your Kundalini you enter into the identity of being a multidimensional being of Light who is wearing a physical body. Just as you can take off certain garments and store them until you wear them again, your Lightbody can “take off and store” your physical body until it wishes to wear it again. Furthermore, in this great era that will eternally be remembered, you are not here on Earth for your self. You are here on Earth for Gaia. Your Lightbody knows that you already inhabit many forms in higher dimensions, and that you have taken an earth vessel to assist Gaia with Her planetary ascension. Once your Kundalini begins to rise up your spine, you experience a “perceptual shift.” YOU are no longer your physical self who has an inner Kundalini that will someday rise. YOU become the Lightbody that is wearing a physical earth vessel in order to log into the third dimension. 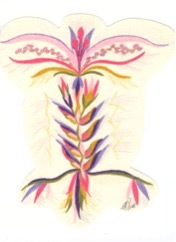 Instead of experiencing your Kundalini rising up your physical spine—you experience your Kundalini as your Lightbody. As you can see, your reality shifts greatly according to your point of perception. In your third dimensional reality, your point of perceptions was that all third dimensional life was outside of YOU. The transition into the higher dimensions begins by your human self gradually and continually experiencing all life as within YOU. Your dreams, meditation, and higher states of consciousness are the Portal to your SELF. These Portals can only fully open once your earth vessel is consciously grounded in to the body of Gaia. It was always within the Divine Plane of your Multidimensional SELF that you had to “feel it to heal it.” In the fifth dimension and beyond, you perceive your self in oneness with all life that is within the reality that you all share. Thus, you are within the reality that is within you. This concept is very confusing to your third dimensional thinking where everything is outside of you except the many organs and components of your physical body. In the fifth dimension, your body is made of multidimensional light. There are no inner organs, bones, or blood. YOU are Light, and your Light intermingles with all the Light that flows over, under, around, and through you. Because the fifth dimension is so very different from the physical reality, in order to assist humans to release their shackles of imprisonment to the their physical illusions of reality, you had to actually enter a third dimensional human being. But how can you possibly remember all of this in just one lifetime. You don’t, but you remember to gather with others so that the “sum/total” of that group can share their own “puzzle pieces” to create a “group picture” of the reality that they are creating by going into the ONE individually and as a group. There is no right or wrong way to create these groups. When it is the NOW for the creation of these groups, all the ones who resonate to a similar frequency pattern of expression and interest will come together. These “random groups” are likely friends and family in the higher planes. When it is the NOW, they will unite to teach/remind each other why they have placed their multidimensional consciousness into their current earth vessel. As they create a safety net of love and support for each other and for themselves, they move into the next phase of their Mission. Different groups will unite for different version of the same mission. This mission is to assist Gaia and Her myriad life forms to “Return Home” to their higher dimensional expressions of SELF. Once through the collective portal created by the group consciousness, some of the members will remain within the group consciousness and others will travel into different versions of the same frequency of that reality. Most important, ALL of them are creating the reality of NEW EARTH. Within the united goal of creating fifth-dimensional New Earth, all those within all the groups begin to understand how their state of consciousness creates the frequency of their reality. First, they will remember that All versions of reality on Earth are simultaneously occurring within the NOW of the ONE of the fifth dimension and beyond. It is only within the third and fourth dimensions that any form of separation is perceived. In fact, even the first and second dimensional realities experience unity with all. Every drop of water IS the ocean, the rivers, the lakes, and the rain. Every molecule of air IS the sky, the clouds, the wind, the sunrise and the sunset. Every ray of light IS the sky, lights the ground and penetrates the water. All the elements that create the planetary body also create your human earth vessel. “Primitive peoples” know that they are ONE with all the life that surrounds them. Only the “civilized” humans have been taught to believe that all life is separate from them. These “modern, civilized humans” have been trained over millennia to forget what they have always known within their Lightbody, which is safely snuggled inside of their Kundalini. They have forgotten that the Sleeping Serpent of the force of Kundalini is waiting at the base of their spine to be awakened. But what exactly is the Kundalini? We will slowly share the answer to this question. Why do we share it slowly? Because this information was implanted in your consciousness as your escape hatch, parachute, and launching pad when you had completed ALL your Missions to Earth. We also share this information bit-bit-bit to encourage you to REMEMBER. Whatever you remember about your SELF is much more powerful than what you are taught. It may be too difficult to understand what you are taught, and you may easily forget it. On the other hand, that which we can assist you to remember inside your own self, can more simply and completely be expressed within your daily life. We need you, our away team to Earth, to remember your true Multidimenisonal SELF. We need you to remember all the multidimensional traits of your SELF, not just within your meditations or while you are attending a class. We need you to remember your SELF in your DAILY LIFE. We need you to remember within your daily life because it is within your third dimensional life that this transmutation will begin. No longer are you protected by your personal Guru, or by living in a Temple at the peak of a remote mountain. WE—your higher dimensional expressions of SELF are entering your daily life, your daily routines, and daily responsibilities. As we have often said, we the Galactics and Celestials, are YOU. It is through the awakening of your own, personal force of Kundalini that you will return to, transmute into, and daily be the YOU that you have always been—but forgot! As this veil is lifted, many feelings and age-old yearnings will rise within you. Human love is the reason that humanity wishes to stay Earth-bound. It is the seventh initiation and the most difficult test one must face before ascension. Therefore, it is important that all Illusion be lifted from this concept so that one can see this test in the clear light. Remember, my one, as the illusions lift, all dramas associated with them seek their final act. “Human love has been used as a weapon, a badge, and a shield. But always, human love slips around of its own volition. This fact, of course, is because human love is an Illusion and an Illusion once made lives its own life. The more thought and feeling that is fed to it, the more independence it gains from its creator. As the veil is passed, I hear Apollo, “I can see the anguish that arises in your field with this issue. You have suffered much with this human love and have caused much suffering in return. I hear you screaming in your heart, ‘How can I transcend to the divine, if I can’t even understand the human?’ Why, my love, the answer is that you don’t. You don’t need to understand human love, because it is based on logic far below your ultimate goal. All you need to understand is yourself. When you understand yourself, you will see how you use human love, and how it uses you. When you are able to see this, call all that is divine in your heart to transmute this energy. “Begin to see the energy field of human love. How does it feel in your aura and in your body as it approaches? Feel how it permeates your being and reminds you of the divine. Cling to the aspect of clarity to raise the energy into total clarity. WE ARE FROM THE DOMAIN OF FIRE AND LIGHT, OF ALL SOULS AND THE SACRED DIVINE CORE ESSENCE IN THE ANDROMEDA GALAXY. It is our joy to be with you and to observe your progress of awakening! Many of you opened their spiritual eyes recently, awakening to their infinite Divine Nature with the desire to let go of old and limiting programmings. With this we’d like to remind you that everything in the conditional realms is frequency. This concept is helpful especially because it allows you to experience your programs as mere frequencies. When you are able to understand that the vehicle of your body-mind is a mixture of frequencies, you are also capable to recognize your environment and others by their frequencies. Physical appearance or words do not change this. You like or dislike a person by their frequency. You like or dislike a message by its frequency. That’s how you recognize who is who and what is what. Because every frequency carries information. We suggest that you, if you haven’t done it yet, step up and train your perception on the frequency level, to be able to use discrimination in this era of disinformation and deceit. This is an important part of the ascension process that allows you to go beyond the Matrix! Because the Matrix is frequency. What we also would like to bring to your attention is this: it is important to understand the term “unity”. It is not an idea or goal, but a frequency which does not need to be “created”, but which already exists since the beginning of time. Mankind perceived itself as divided by apparent different races and cultures, yes, – but mainly because Love in all its Divine dimensions and glory was not yet integrated in the human consciousness. And so humanity fell, challenged by adverse forces, easily into separating difference and calculated aggressiveness. However Love is THE uniting force of the galaxy that has been introduced to your universe to reverse a further course of decline, weakening and destruction of humanity. That is why your spiritual guides always refer to love, as it is the spiritual force that easily unites all races and cultures. Love has no structure, no dimension, no believe and no judgement. It is the foundation for Unity-Consciousness. Now there is hardly anyone who did not experience the power of love, even if only for a moment in the case of a very unhappy life. Attraction between genders has been enriched in due course with true love that involves your higher being, as more and more of you evolved and opened their sacred heart. However today we ask you to not overstress and confine the experience of love to your personal relationships. This is only a beginning where you are called to cultivate this energy and are able to experience bliss and unity with one another. Humanity is now ready to step outside this merely intimate space between two or a few people, willing to expand love beyond the familiar. Beyond family bonds and the bonds with friends and even nations. Humanity must expand love to all beings and creatures, in order to overcome the challenges of a divided world-population and destructive forces, and to create as soon as possible peace on earth, refusing to kill, to intentionally hurt and abandon your human brothers and sisters, because you are perhaps being told so. We ask you to tune into your heart when you read or listen to this. We remind you that you all are capable of the language and higher vibration of the heart, if you intend to release fear and hatred and the idea of separation from the rest of your human family. In the past times many of you convinced themselves that survival was dependent on the idea of separation and alienation. Now you are to understand that your survival as a Divine race is dependent on the frequency of love and unity. As the light and energy on your planet is rising, so your own energy can rise when you tune into the frequency of love. It is the vehicle for you to receive what is coming now from highly evolved and Divine cosmic sources. It is the vessel that allows your own holographic structure to participate in the higher mind that is invincible by negative and deceiving forces. It is indeed the very force that allows you to ascend and to evolve as a race. Many of you, humanity, are still lingering in pockets of darkness and spiritual inertia, which is merely due to the programs of low frequencies you are attached to. You are able to rise your frequency simply by clearing your heart space. We say “space” and not chacra, because as your scientists already found out, the space around the human heart is much larger and much more powerful than just the chacra, and refers to the truly Divine human nature and is therefore Sacred. Clearing your heart space might be challenging though, as you encounter unpleasant emotions, that are trapped in illusions, that can hurt. Be aware that you lived with them anyway in the past – but merely suppressed the feeling of it. To allow the full feeling-awareness of them is all there is required. It enables you to release the low frequency programs and to open up to unconditional love, while you are willing to keep your heart space open and expanded at all times to receive the new waves of enlightening information. What you once have messed up with can be healed and balanced now. Your future is your responsibility. It is you who is creating your personal experience and the experience on your planet. To create peace and happiness you must first release the low frequency-programs in yourself that do not vibrate as truth, peace and happiness. It is that simple. To release low frequencies allows the frequency of unconditional love be present not only in your heart space but all over your human hologram and beyond, by filling your consciousness with stillness. And so you are becoming it. You can do this now. And so in every moment. The incoming higher light and consciousness is supporting your process to transcend the Matrix. This is your moment to take advantage of this glorious opportunity. We highly recommend not to miss a jota of this Divine Gift. We want to see planet earth and this universe in peace, happiness and unity. We want to share with all of you what we are, and you to share with us what you yourself truly are, or can become again soon. We trust this auspicious process to show greater and greater signs in your societies, as you accept the joy of it and as you progress in your process of releasing un-love and un-happiness, deeper than ever before. We are the the Light-Beings from the Andromeda Galaxy!